Sign up to receive recipes celebrating the best of Louisiana's eats all made with a 'skinny' twist. Shelly Marie Redmond offers tips on making back to school eating fun, tasty, and healthy with healthy and delicious recipes and tricks. Shelly Marie Redmond offers tips on how men can make changes in their diet without losing flavor and improve their waistline and heart health. Shelly Marie Redmond offers tips on fun, tasty and healthy ‘shark’ snacks and treats that the entire family can enjoy. Shelly Marie Redmond offers ideas to create skinny snacks from toddlers to teens. These skinny snacks are healthy and taste delicious. 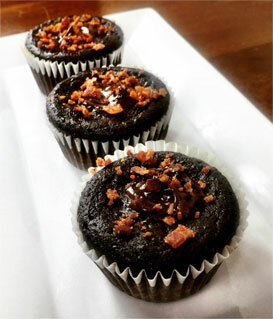 Shelly Marie offers tips on how to save some calories on your favorite holiday treats. These holiday treats are good for your health and easy to make. Raise a toast to a healthy Happy New Year as Shelly Marie Redmond offers tips on healthy drinks. Shelly Marie Redmond offers tips on enjoying and repurposing Easter leftover candies and goodies with a skinny twist. 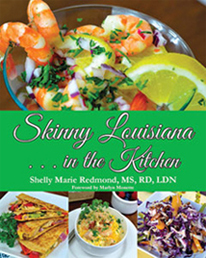 Shelly Marie Redmond shares some healthy recipes that are easy to make and taste delicious for the Mardi Gras. Shelly Marie Redmond offers tips on throwing a ‘Frozen’ theme party with a healthy twist that kids would love. Have a Gift Card or Promotional Code? Contact Shelly to discuss nutrition counseling, spokesperson work, or as a speaker for your next event.